At least I think this is for Christmas. It's kinda hard to tell what the hell is going on here. Looks like it snowed on a car over night and someone threw a whole load of scrap Christmas tree branches and other assorted waste onto it. 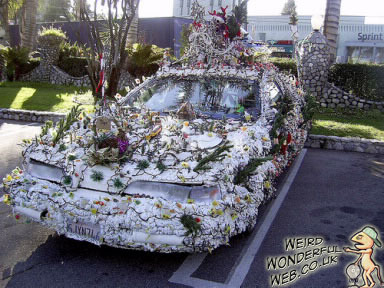 Also see: Most depressing Xmas decorated car.